Jobs. Missions. College. Love. In the sequel to Yearbook, the characters are in the middle of it all. Two and a half years after we left off, Andrea Beckett is a junior at Cornell University in New York. She's caught up in the whirlwind of finals, decisions about jobs . . . and decisions about love, too. Dave Sherman has returned home from his mission, and they will have to decide where their romance is going. In addition to everything else, Andrea just received the assignment to teach early-morning seminary to a group of eight high school students, who all have their own decisions to make and challenges to overcome. Meanwhile, Andrea's brother Ethan is serving a mission in Brazil. The language is new, the culture is different, and sometimes being Elder Beckett is harder than he expected. I really liked this book - possibly better than the first. I liked how we get to know Andrea really well, to see what makes those people who we sometimes just don't get tick. I loved how Ethan wasn't perfect, that he had to learn while on his mission and spend some time really deciding who he really is. This is a great read, maintaining the element of that which is truly real and keeping the characters as people really are and showing that life doesn't always coast merrily along, but it is always worth the ride. Thanks Ally for another great reading experience. I actually read this book before I read the first one, but I had no trouble catching on to the story and I was really interested! A lot of times, young adult fiction isn't that great, but I really liked this book because it often had me on the edge of my seat. Most books, movies, etc... have a not so great second book. First Day is definitely an exception!!! It was an amazing continuation of Yearbook, and it finished the story very nicely. Fun, Uplifting, and better than its predecessor! After quickly reading Yearbook, I couldn't wait to get my hands on this. It was very well written. Once again, you are able to see the people behind the pictures and truly understand them. 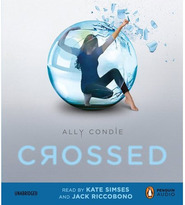 Allyson Condie is a genius! As a teenager getting ready to face many of the decisions in both Yearbook and First Day I was thrilled with both books! First Day was an excellent sequel to an outstanding book, Yearbook. I would definately recommend this book not only to my friends, but to anyone ready for a great read! First Day is a perfect way to continue the trilogy that I fell in love with when I read Yearbook. As usual, Condie shows us humor, friendship, just the right amount of spirituality, a little romance, and an honest look at so many other real-life issues. Once again, it's all presented through the eyes of characters that we grow to genuinely care about. An excellent book for readers of all ages, but particularly young adults. First Day is a worthy sequel to Yearbook. It is well-written, the characters and the challenges are believable, and I look forward to seeing how things wrap up in the final book of the trilogy. Keep writing, Condie! Everyone knows sequels are dangerous territory. Fortunately for Condie (and the rest of us) First Day avoids the land minds and stands up extremely well next to her first book, Yearbook, which is one of my all-time YA favorites. , In First Day, the story narrows from a wide variety of players to a smaller core, and the results are wonderful! Condie has retained and developed the most appealing and endearing characters. (particularly Andrea, because if you didn't know an Andrea when you went to high school, then you played a lot of hooky) , Condie uses the same challenging device to continue telling these charcaters' stories, and she dazzles us again. 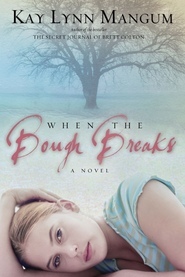 The writing is a breath of fresh of air in a genre that, quite frankly, needed new blood. As a longtime fan of LDS YA fiction, I'm thrilled to see the bar raised.